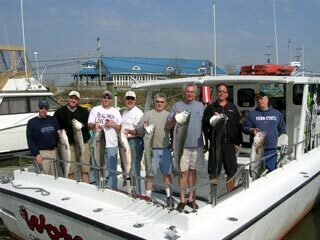 Duke Brown (center, blue) and crew back for the Rod & Reel Pro-Am Tournament. 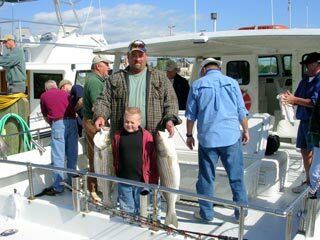 Although we caught lots of fish, none were large enough to put us in the money. 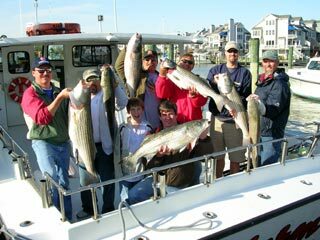 Another crew from Green Contracting, with lots of big stripers..
John Straughn (left) and crew were back again for big stripers on April 27. 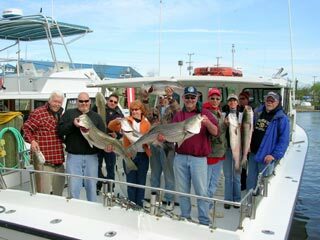 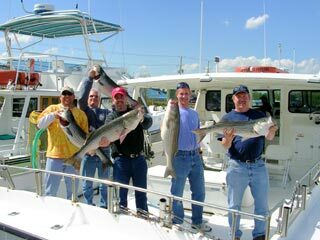 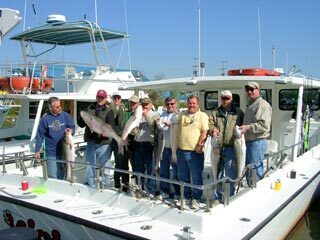 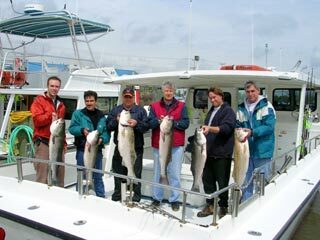 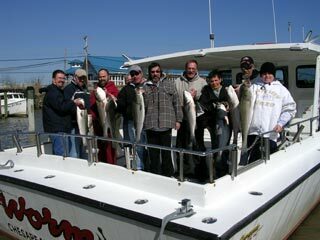 Art McCrea (2nd from right) is back again with a big crew on April 27, when lots of big fish were caught. 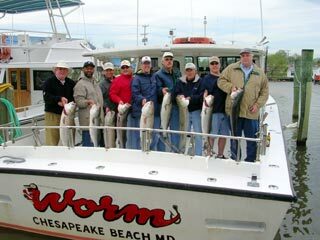 Fred Gers (4th from right) leads the crew on another fine outing on the Worm. 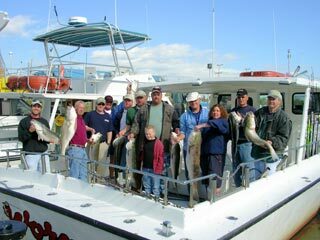 The Don West crew with their fine catch from April 26. 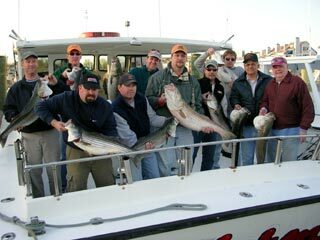 The Scott Schoenberger crew with lots of big stripers. 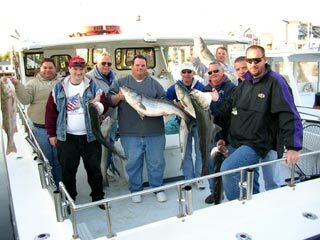 The Ron Majka crew and catch from April 23. 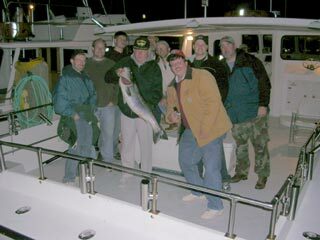 The Bill Sabo crew, back for another season catching big stripers. 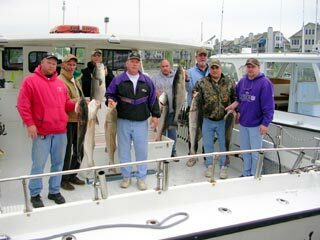 The Lee King (3rd from left) crew with another big catch of trophy stripers. 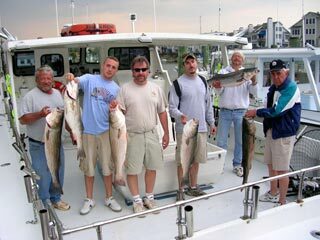 Pat Gibson (center, red) with a happy crew and their big catch from April 21. 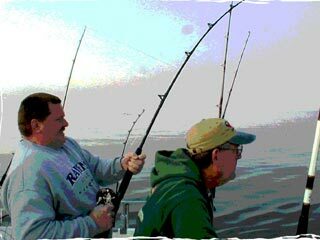 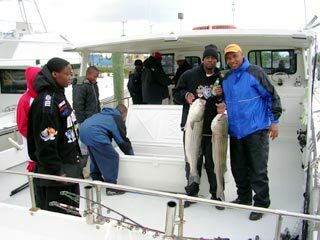 Dwayne Pickett (kneeling, left) back for more striper fishing. 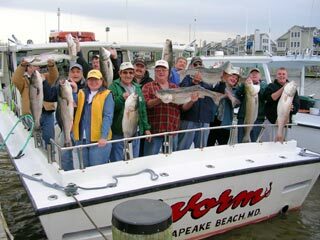 The Kevin Eller crew with their fine catch. 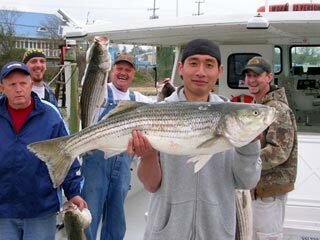 Fred Gers and crew with some big stripers they caught aboard the Worm on April 19. 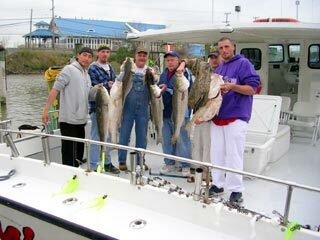 The Mike Sweeney crew with their fine catch of trophy stripers. 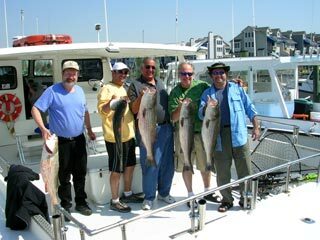 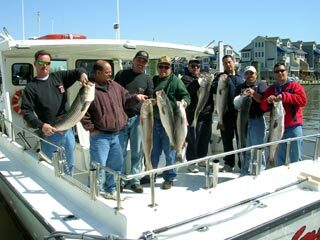 The Keith Semidey crew of April 17 with a limit catch of big rockfish. 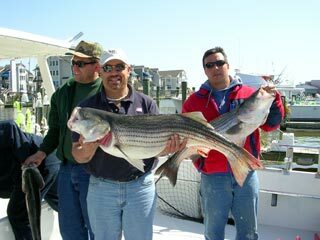 The Robert Young crew with some big rockfish they caught opening day afternoon. 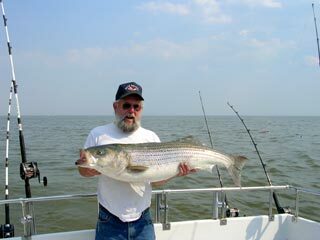 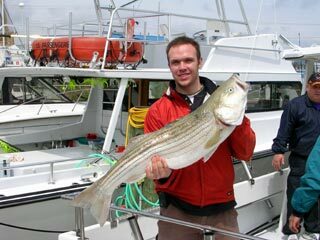 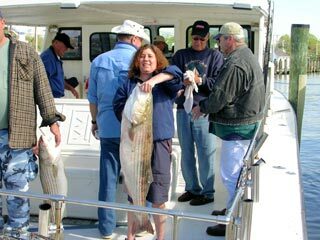 Robert Young (center) with a big striper. 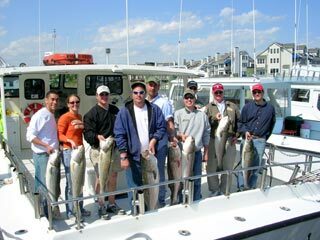 The Mike Fox crew, back for opening day, with a fine catch of big stripers.